This post is a wee bit later than normal as I had today off with Joanne, so I will be writing about where we were on Wednesday's blog post. We had a 3 day weekend, with the first part being in Limerick visiting my family. I have not been out in Limerick for food in some time, however when I am down I generally go to the Hook and Ladder for breakfast rather than go out for lunch. 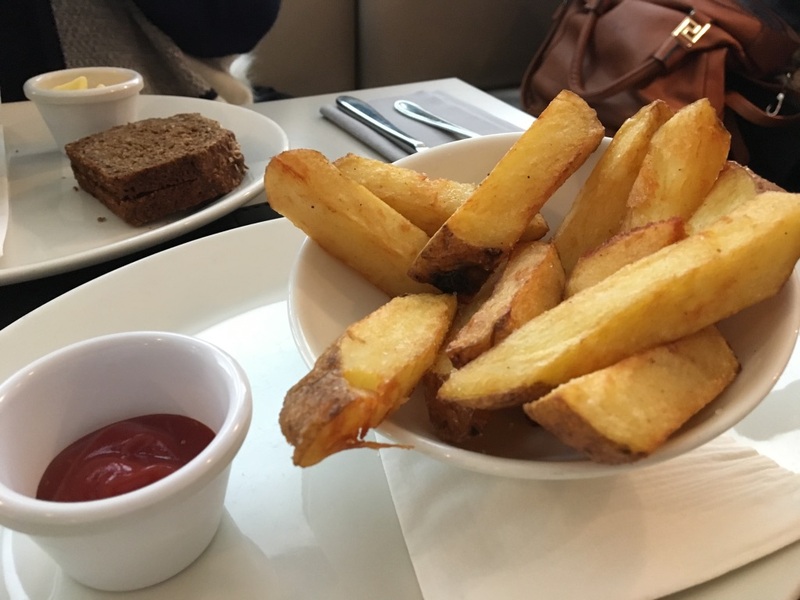 We happened to ramble in to Brown Thomas or as Limerick folk call it Todds on O'Connell Street to have a look in the kitchen section. When we got in however the food on the first floor smelled gorgeous, and we were tempted in to Brown's restuarant. 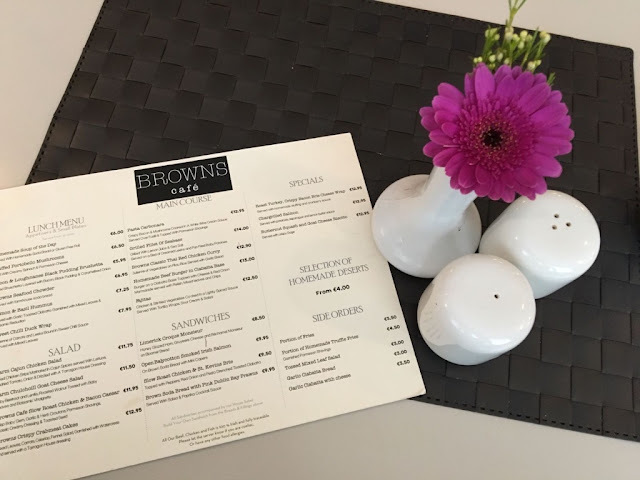 I had not been to Brown's before but I used to go with my mum frequently when I was a child to it's previous incarnation, when it was more of a cafe. I chose the chowder above in the lead picture and Joanne ordered tomato soup with a portion of chips. 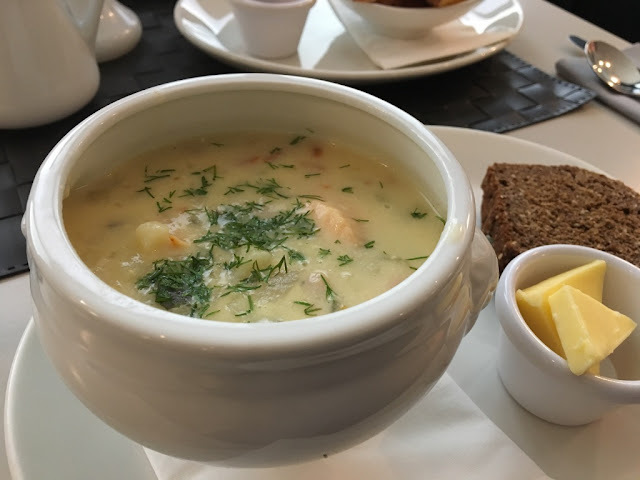 For some reason this weekend I had a hankering for chowder, I had planned to go to the Curragower but with Munster playing Racing I decided to give it a miss, as it would probably be jammed. A work colleague of mine swears by the Curragower chowder so with that in mind I at least satisfied that want in Brown's. 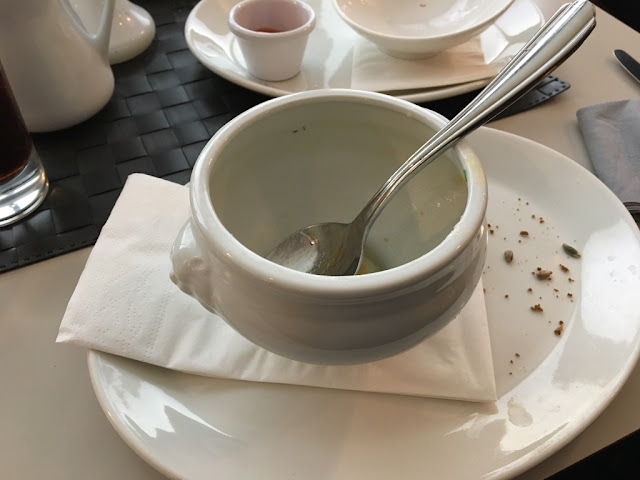 It was top notch chowder with massive chunks of fish, the perfect lunch. Joanne loved her soup and the chips were excellent too. I would definitely recommend paying Brown's a visit, I think they have a similar restaurant in Dublin and Cork also. I would also like to mention this is not a sponsored blog post all these recommendations are my own. I wish I had a musical recommendation to make this week but unfortunately I wrote this while Joanne watched Coronation Street. I do have a recommendation however for some further reading on Brown Thomas of yesteryear when it was known by Todds in Limerick city https://brandnewretro.ie/2015/03/31/todds-of-limerick-trends-for-the-seventies-1971/.